How long have you been manufacturing tools? We began manufacturing tools in 1949; hence, it has been 61 years. During this period, we have expanded our business to include the manufacture of various types of work materials. Our tools focus on materials such as granite, marble, travertine, limestone, sandstone, terrazzo, silestone, glass, ceramics, stainless steel and etc. Not only industrial use but we are honored to say that our polishing tools were used to polish the surface of the blades of Olympic speed-skating athletes, who won medals this year. Although we have the largest market share in stone-polishing tools in Japan, we are interested in venturing into other fields as well. Currently, we have 118 employees including the sales team, marketing team, engineers, accountants, procurement, personnel, public relations team, system engineers, quality control team, manufacturing team, production control, and just about every specialist required in this business. How long would it take to receive your goods? If the product that you wish to purchase is in stock, we can dispatch it right away. The average lead-time for each product will be different, so please confirm the actual delivery date with the sales person, if we do not have your desired product in stock. We usually offer an L/C or T/T for each transaction. However, if you have a preference, do let us know. Can you provide an MSDS? Yes, of course. Please let us know whenever you need it. We will send it to you right away. Our main factory is located in Kyoto Japan and is in front of our headquarters. 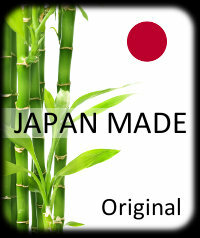 We also have a factory in Joyo city, which is next to our town Uji city, and one in Dalian in China. What do grit numbers such as #80 and #300 indicate? Grit numbers indicate the size of the grain. For stones such as granite and marble, diamonds are usually applied to the grain; hence, the number will indicate the size of the diamonds embedded in the tools. For the actual size, please refer to the chart given below. In which region is your major market? We are happy to say that we dispatch our goods all across the world, unless a country has some restrictive government regulations. I am a dealer who is interested in selling your products, but I do not have experience in selling these kinds of products. If you are willing to sell our products in your region, we will provide you with all the necessary information about our products. All our employees started as beginners, so there is no need to worry about technical support; all you need is the willpower. We also offer an in-house training course. Do you have any exclusive agents? Yes, in some regions we do. We have several exclusive contracts with sales representatives who have sold a considerable number of our products. granitepolishing.in 2010-2014 copyright all rights reserved.